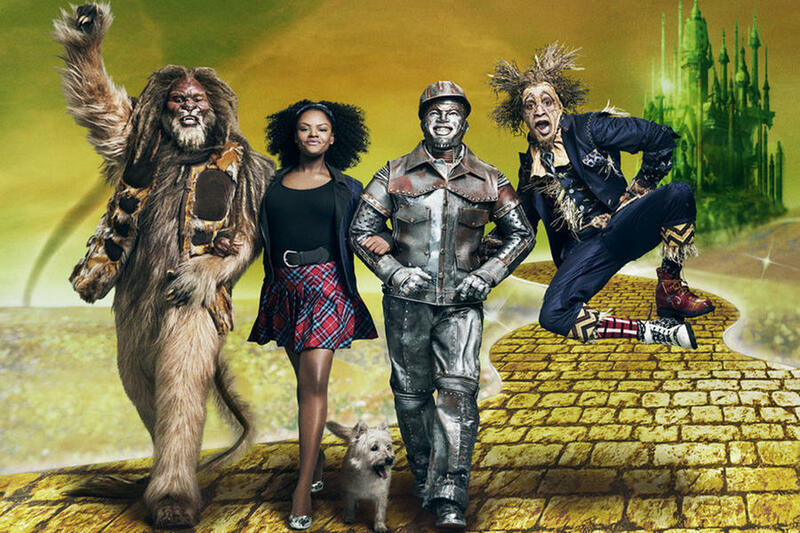 In the photo above, we can see David Alan Grier as the Lion, Shanice Williams as Dorothy, Ne-Yo as Tinman, and Elijah Kelley as Scarecrow as they ease on down the iconic yellow brick road. The makeup and prosthetic work done here is top notch, with Grier looking nearly unrecognizable but incredibly inspired in his Lion get-up. The efforts with Ne-Yo’s makeup are straight magic. And Elijah Kelley’s Scarecrow is a work of art. Not to be outdone, Williams is beaming with confidence as Dorothy. For a closer look at each of the characters, check out the gallery below. And as an added bonus, NBC put out a promotional video showing the four leads prepping for and taking on a photoshoot. Seeing each of the characters in motion, we can get a feel for what they will look like on stage on Thursday, December 3 when the broadcast airs. As expected, Ne-Yo is bringing his trademark flair to the role, and David Alan Grier even seems to have the facial expressions down. And Shanice Williams’ youthful exuberance is perfect for bringing Dorothy back to life. But the surprise standout of the bunch is Elijah Kelly as he displays an overabundance of athleticism and a playfulness that looks to give the Scarecrow the life he needs to shine on camera. This just got very exciting. Will you be watching? Next story It’s Time We Stop Asking Whoopi Goldberg Questions.